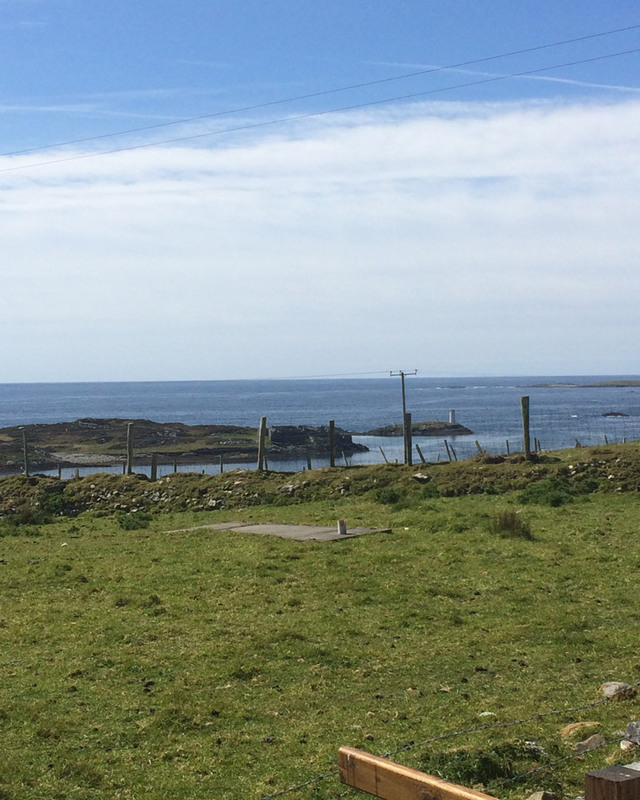 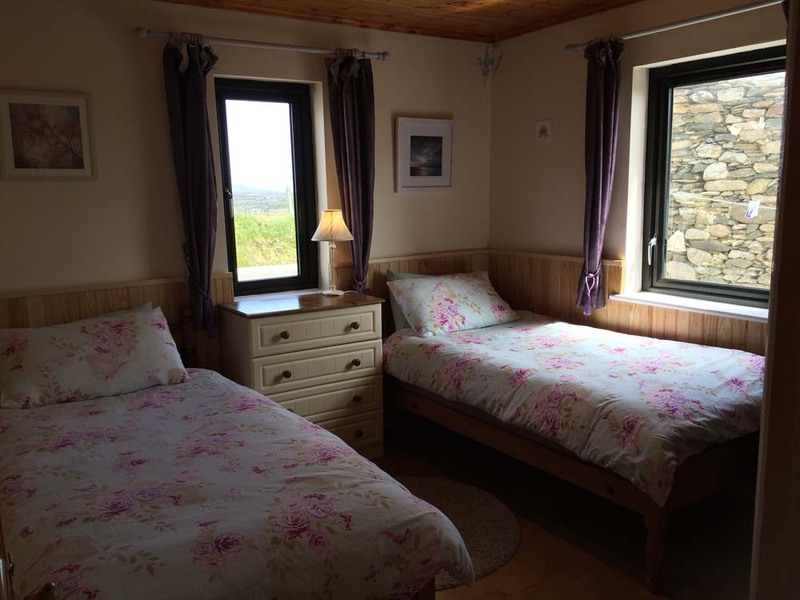 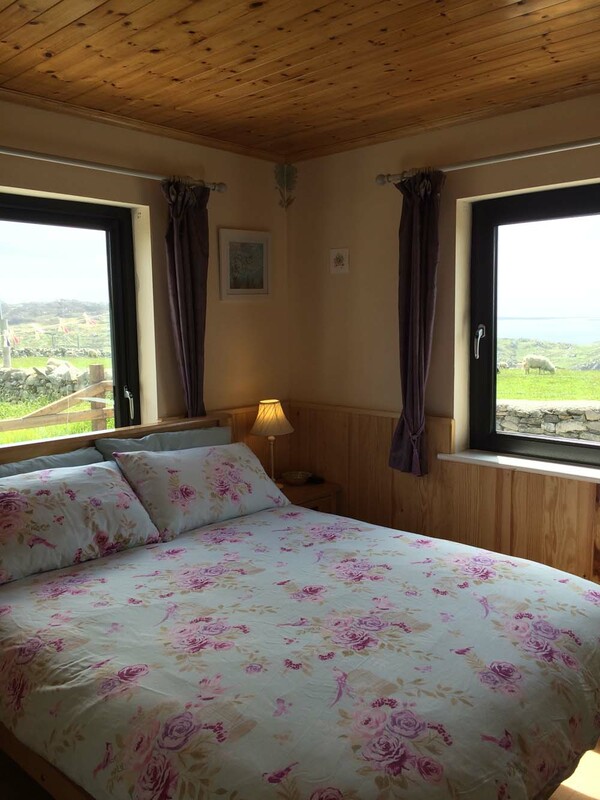 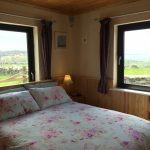 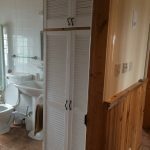 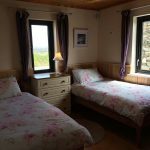 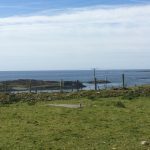 Áine’s Cottage is a comfortable 3 bedroom house which consists of 1 double bedroom (ensuite with shower) & 2 twin bedrooms. 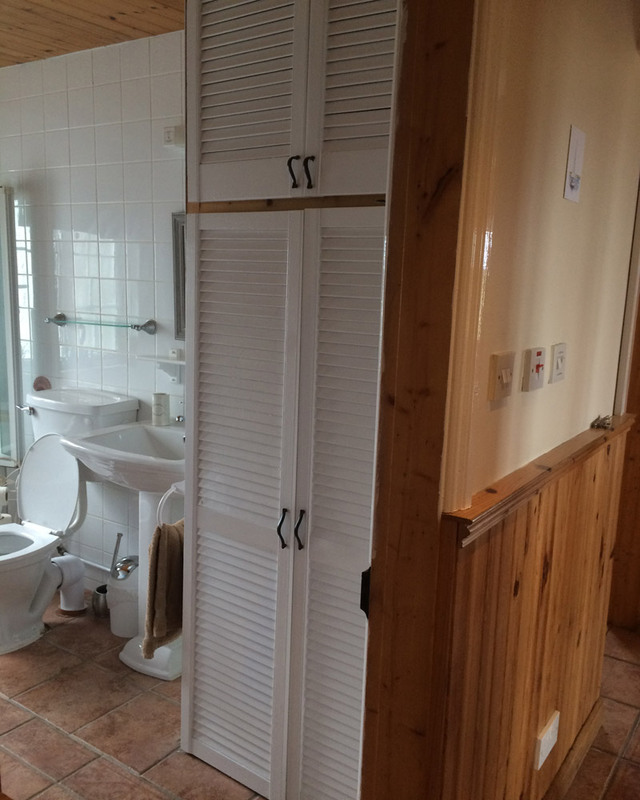 There is a large family bathroom with a bath & electric shower. 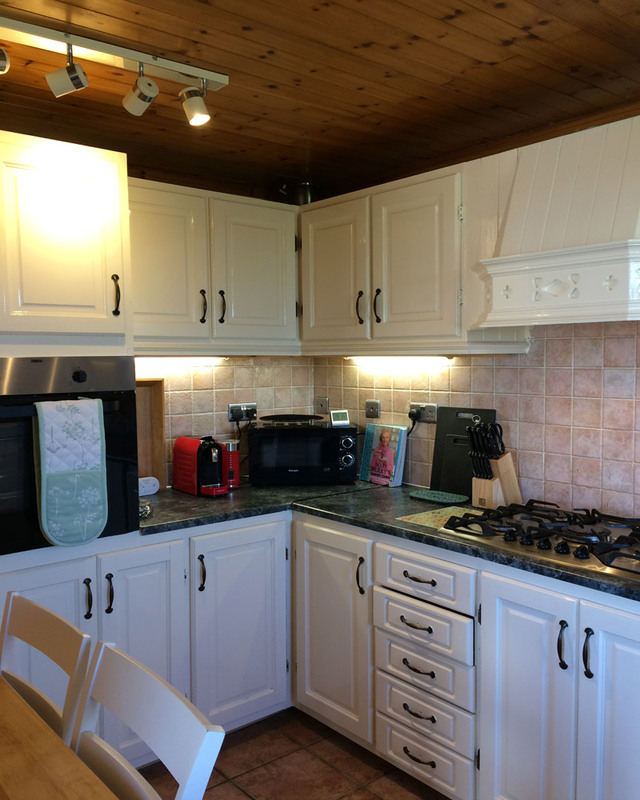 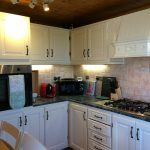 The kitchen is well equipped and has a gas hob, electric oven, washer/drier, dishwasher, microwave etc. 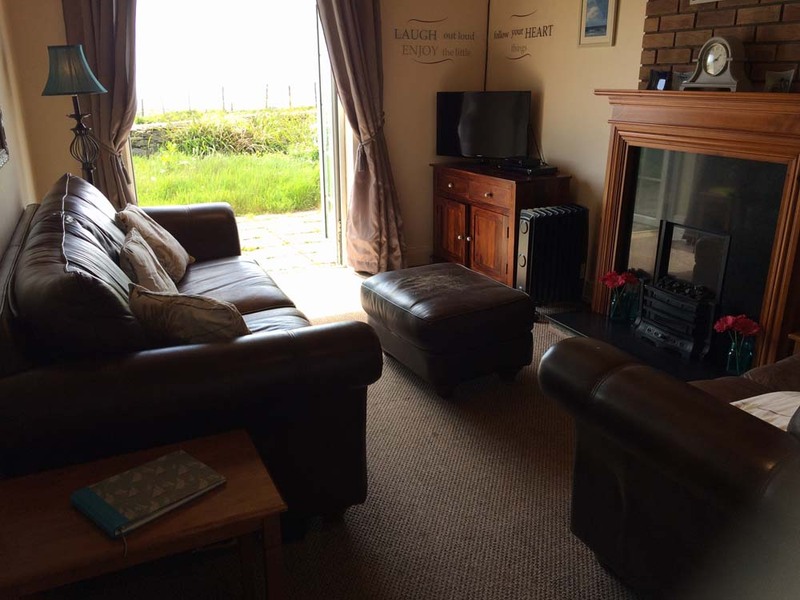 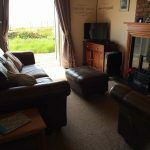 The sitting room has a large flat screen TV with free to air satellite, DVD player and access to the south facing decked patio area which enjoys incredible views of the bay and surrounding islands. 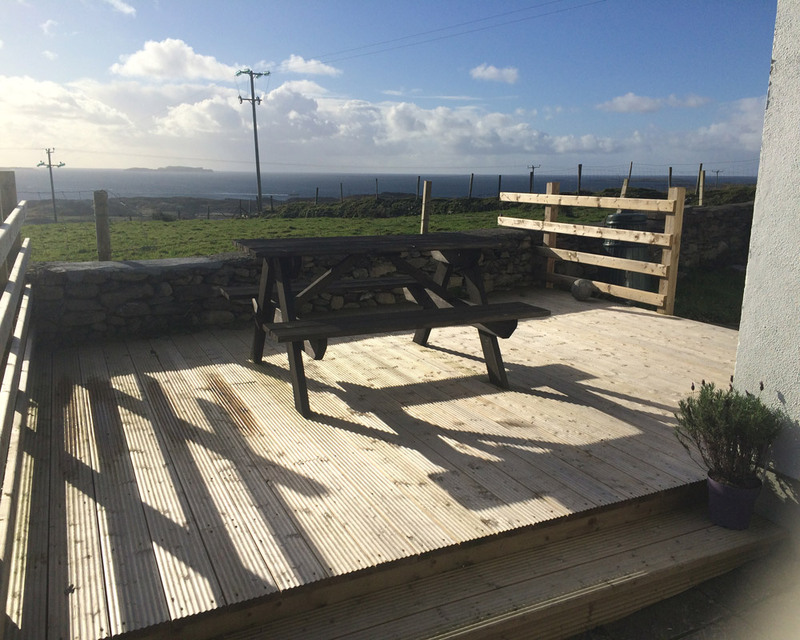 There is an outdoor seating area. Check out time on day of departure is 11am.